October 2018: 50 greatest songs. Even those of us who do not understand the language, can appreciate the scale of the undertaking. 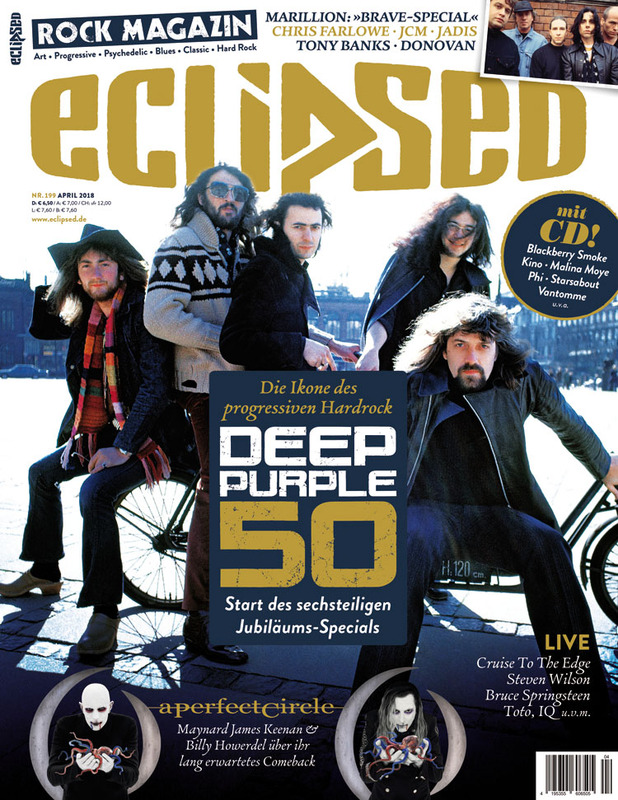 Customers from select EU countries can purchase issues of the magazine online through Eclipsed shop. The rest of the world is kind of out of luck. Thanks to Deep Purple Tour Pages for the info. Posted by Nick Soveiko on Monday, March 26th, 2018, filed under News. You can follow comment on this post through the RSS 2.0 feed. You can skip to the end and leave a comment. Pinging is currently not allowed. Sorry Beatles, Stones and Zep fans, this is the greatest Rock band of all time (IMHO)!!! You don’t see a lot of late Mark II photos. Very nice work by that German magazine. Hopefully one of the UK rock magazines will do something high quality such as this later on in the year. Planet Rock had a good Deep Purple issue a couple of months back; and I see the new upstart Rock Candy magazine is not shy about covering Purple either. I just wish Classic Rock magazine would take a proper decent stab at covering Deep Purple’s 50 year career, however that publication generally shows heavy favouritism towards Led Zeppelin and AC/DC while giving quite scant coverage to the Purps, so I’m not holding my breath. Best band in the World !!! Fantastic, boys and girls for ECLIPSED. Much appreciated. But I still wonder , why there are no new CD’s or DVD for this anniversary announced. Why the music industry does not celebrete this rare birthday? I think there are still rarities in the vaults. That pic is the only deep purple pic I have on my wall. People always ask.. who are they..
Weird pic where they sliced off a big part of Gillans and Blackers hair.